Next Generation Flash Heads can connect to all the Lumedyne Power Packs. They have built in head cables and the HERS has a 5 foot straight cord. The body of the Next Gen’ Heads looks a lot like the Classic Heads because the lightweight round design is so easy to handle and pack for travel. Those photographers who carry their Heads on a camera bracket appreciate that these are lighter than most other options. 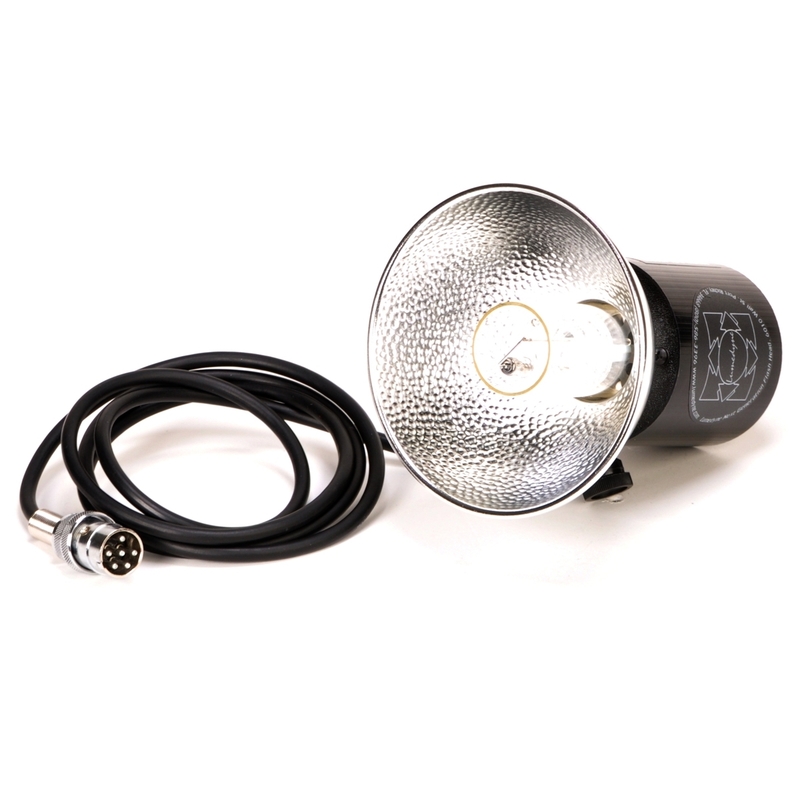 The HERS also includes an 800ws Flashtube (AFTE) and a separate Modeling Bulb (AMBR) protected with a 5 inch reflector (ARST) and two diffusor covers (ADC1 & ADC2) plus a metal snoot (ASNT).